Do you own a shoe store? 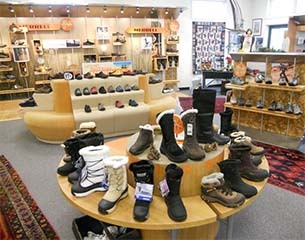 By having a point of sale systems for shoe store, your business management will greatly improve. With the automated features of a point of sale systems, you don’t have to tire yourself again in looking for patterns, business strategies and more. With an accurate sales reports, you can easily find your shoe store’s strengths and weaknesses; you can also determine what kind of shoe products sells the most and you can invest your money on the right way. However, just owning point of sale systems for shoe store doesn’t make you succeed, even if you have the best shoes at the best prices. But you have everything you needed to create a monumental success. The only question that remains now is how can you do it? Let us find out how to maximize your point of sale systems for shoe store. As you’ve already learned earlier, a point of sale system for shoe store can easily track everything about your business, from your customer’s preferences to the number of shoelaces sold that day. Therefore, you have a great amount of data that can be used to analyze your current business performance. By collecting data, you can easily make predictions, price adjustments, discounts and similar marketing strategies. You can see your best selling product and increase their stock while lowering those of less selling products. This way, you can avoid getting your money and investment stuck in a non-selling product. It will make your business cycle faster that will ultimately speed-up your business growth. If you want to know more about our point of sale systems for shoe store, you may call us at 1-888-405-8706 or you can also use the contact form if you want.